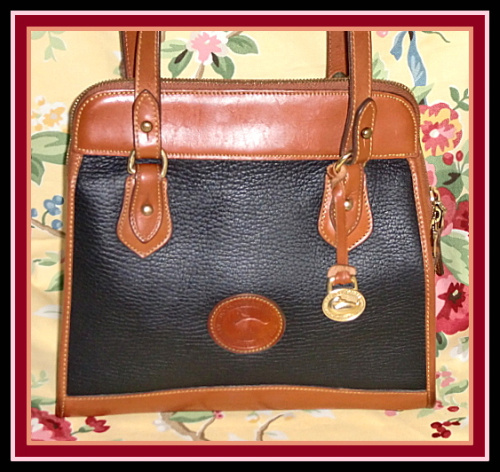 Color: Black with British Tan piping. Regal looking Classic Dooney Bag has exquisite colors as the British Tan has begun the process of turning to a rich deep honey color. 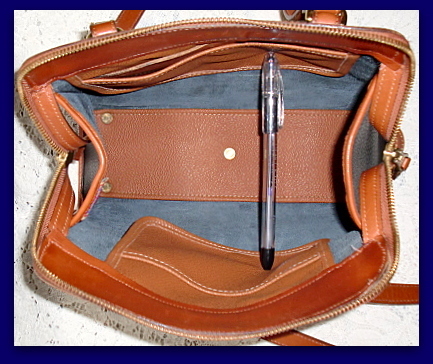 Note from Jo: "This Medium sized Dooney & Bourke Carpet Shoulder Bag has been well cared for and has seen less than normal amount of use. It has retained its nice firm shape and sports a perfectly shiny Solid Brass Duck FOB. 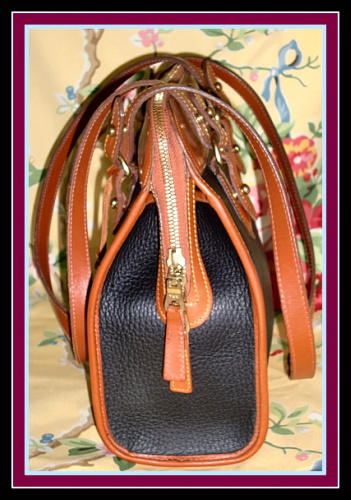 A strong well made handsome Black & Tan combo with 2 top zipper pulls."